The season is upon us! Yesterday marks the first day of this year’s Advent season. The season of Advent (which means “coming/arrival”) begins on the fourth Sunday before Christmas day. This year, that day was yesterday. The celebration is a short season of waiting. It is intended to divert our attention from the cultural consumerism that surrounds us and reorient our attention on the “coming” or “arrival” of Jesus—His birth and subsequent ministry to bring salvation to the world. The Advent season also points us forward toward His promised return (the “Second Advent”). In honor of the birth of Christ we have created a special page that deals with this event as well as those surrounding it. The page serves as a starting point for those seeking to study this great moment in history. We pray that through them, you are stirred to joyfully worship the King! 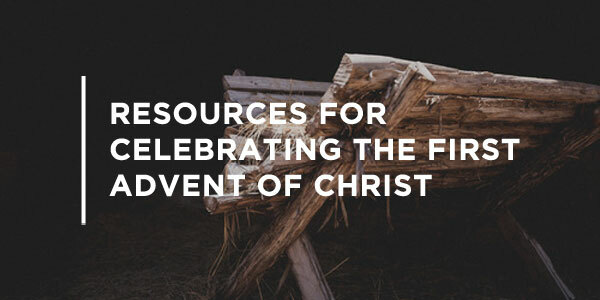 Whether you’re a pastor or Bible study leader looking for study resources, a parent looking for family devotional material, or an individual wanting to meditate on the coming of our Lord and Savior Jesus Christ, we hope you’ll find these resources helpful for you this Christmas season.